[tps_footer]Katrina Kaif and Ranbir Kapoor are bombarded with questions on their break up. The two stars who are keeping themselves busy with their back to back projects are now entangled in a personal hassle. Both Ranbir and Katrina have kept mum about their break up, but the shutterbugs are not going to stop with just that. The once upon a time love birds Katrina Kaif and Ranbir Kapoor have always been reserved about their personal life. Nonetheless, their break up was much public. 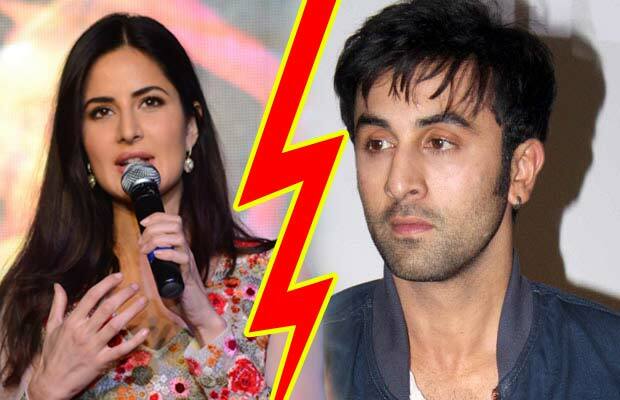 The reason behind their fallout is still not known but it is said that Katrina was looking forward for a marriage proposal from Ranbir but the latter was not ready for the same, and this resulted into parting ways. Well, the always cheerful actress did not even take Ranbir’s name on the event but indirectly answered the question. Katrina who is looking forward for the release of her film ‘Fitoor’ opposite Aditya Roy Kapur is creating all the headlines for her meetings with ex flame Salman Khan. Previous articleStyle Check: Bollywood Stars Make Amazing Style Statements! Next articleZayn Malik Confesses He Never Wanted To Be A Part Of One Direction!